Day 2. 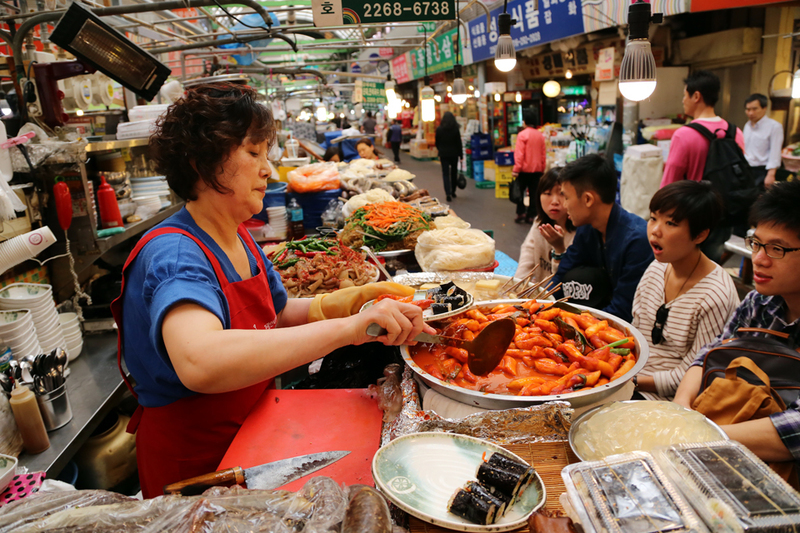 We started our our day with a delicious breakfast at the Gwangjang Market (광장시장). We got there around 10 am and might have arrived a little late because some of the stalls and shops were closed. Even so, many were open, so we got to sightsee the market for a bit. 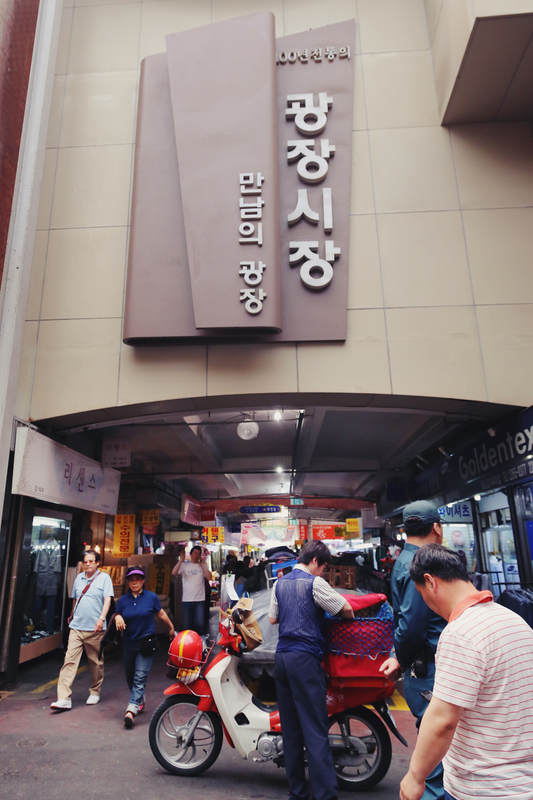 For a market, I think the place is very clean and organized. It felt very different than the markets I've been back home in Indonesia. We ate and tried a couple of different things and after we're done eating we just walked around the market. I tried it and it doesn't taste as bad as I thought. Very interesting taste and definitely taste better with the sauce/dip that the ajumma gave us.